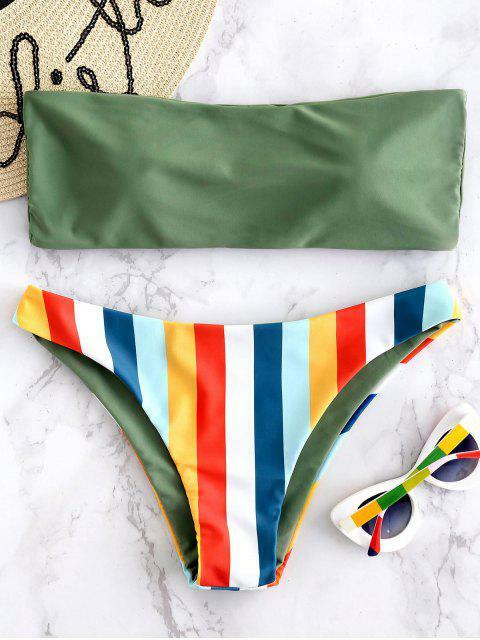 [13% OFF] 2019 Bandeau Rainbow Striped Bikini Set In HAZEL GREEN | ZAFUL ..
Super cute loved this bathing suite!! It fit to size and looked great on. Great material! Great fit! Very true to size. For reference I’m 5’ 5”, 117 lbs, size 0 and wear a size 34B. Great material, love the vibrant colors. Top fits well but isn’t super tight so it might fall a little when wet. Bottoms fit perfect! Not too cheeky. Very cute. 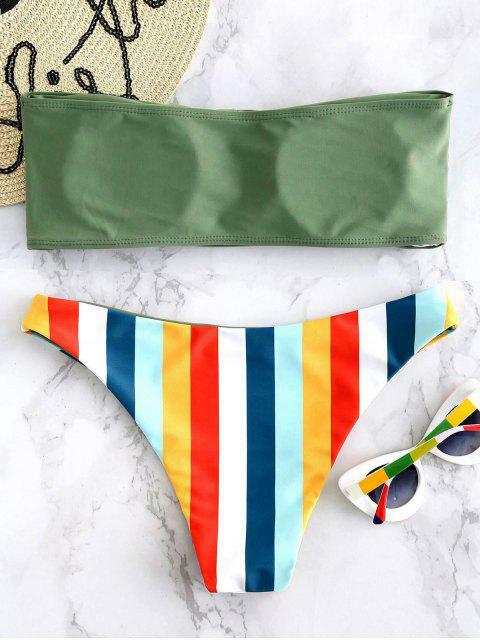 So bright and so new, this bikini swimsuit will perfectly flatter your curves at the beach or pool with the colorful rainbow briefs, which are designed with high-cut legs to elongate the figure. 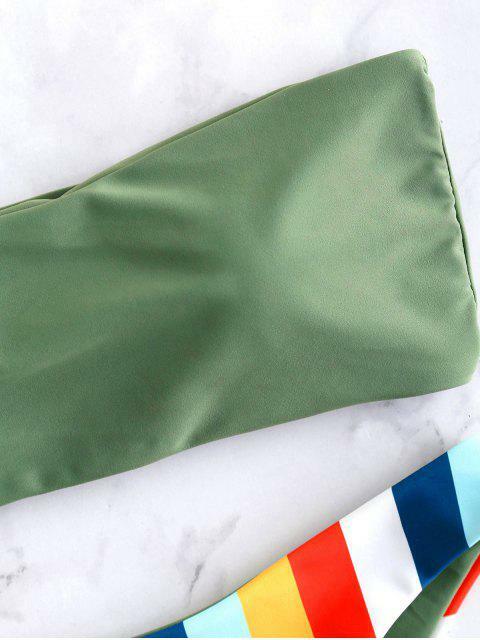 Matching with a solid bandeau bra to complete the stunning look.